Among the innumerous trekking routes in Nepal, Dhaulagiri Circuit Trek is one of the challenging adventures situated in the Annapurna Region which takes the trekkers to the base of world's seventh highest peak, Mount Dhaulagiri (8167m). 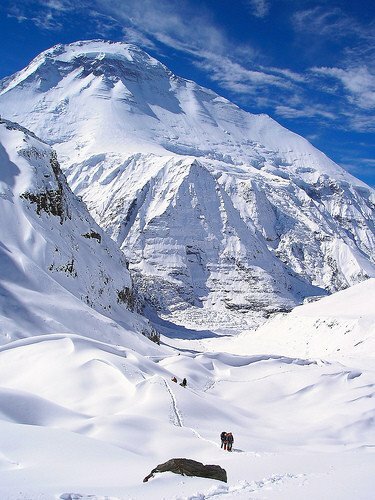 Dhaulagiri Circuit Trek walks through snow-covered slopes, icy glaciers, and lateral moraine. Throughout the journey, the trekking route offers the splendid view of the majestic Dhaulagiri massif along with other mountain peaks that are above 7000m. 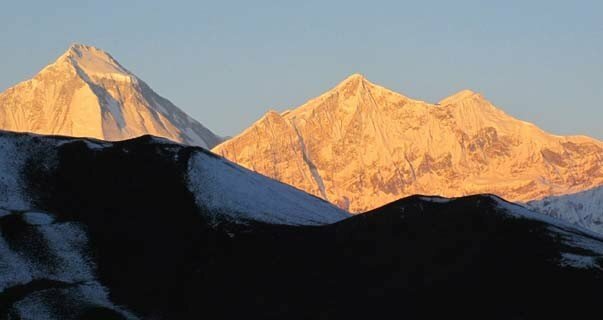 Dhaulagiri Circuit Trek begins with your arrival at Tribhuvan International Airport, Kathmandu. After the scenic flight to Pokhara and drive to Darbang begins the real trekking journey as you pass through densely forested trails and terraced hilly area. The trekkers also walk past various Magar villages which gives them the opportunity to understand their culture and lifestyle. 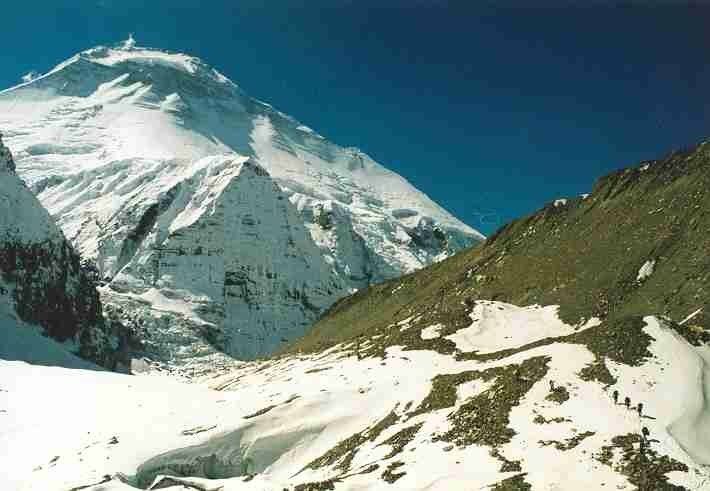 The trek reaches three base camps; Italian Base Camp, Dhaulagiri Base Camp, and Japanese Base Camp. 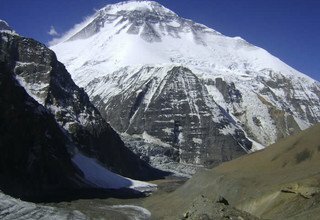 From Dhaulagiri Base Camp, trekkers can see the stunning icefall descending from the north-east col between Dhaulagiri and Tukuche Peak. 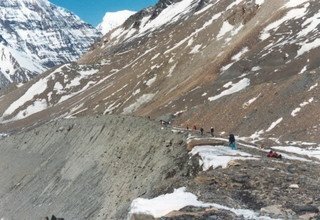 Walking through the glacial moraines on white icy track, trekkers gently climb up to the French Pass (5360m) which is the highest point of our trek. 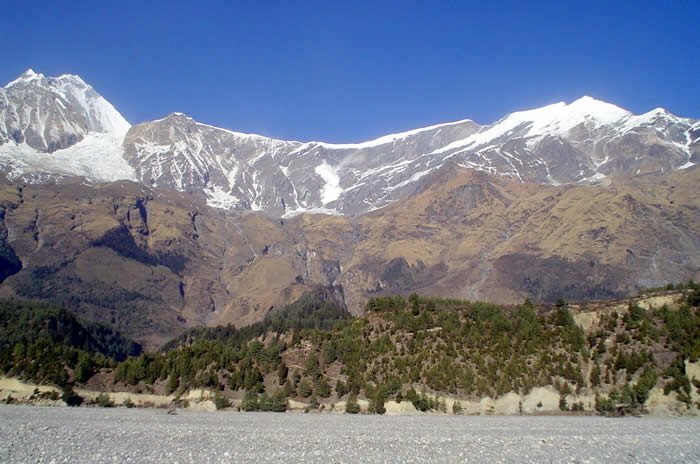 The trail then follows to reach the Hidden Valley behind the Dhaulagiri massif. 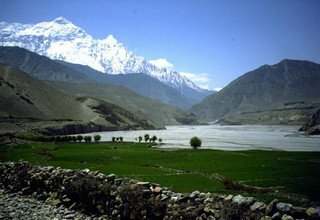 The trekkers also cross Dhampus Pass and Thapa Pass which leads to the town of Jomsom passing the Marpha village, also known as apple city, on the way. 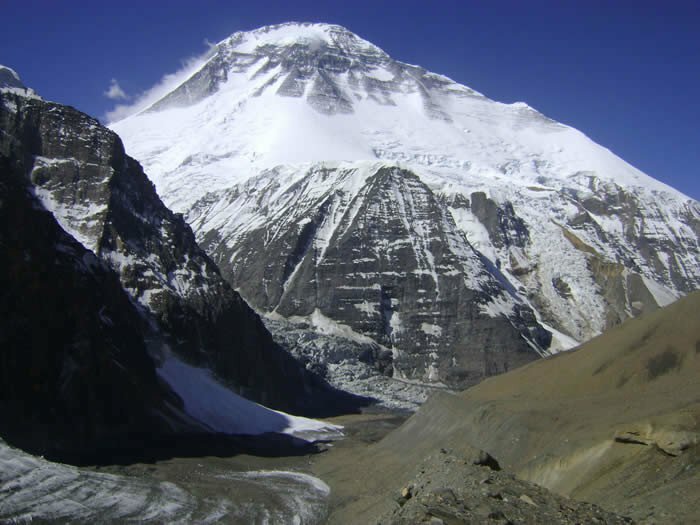 Dhaulagiri Circuit Trek is perfect for those trekkers who love challenges as this trek includes walking over creaking glaciers and crossing a high mountain pass. 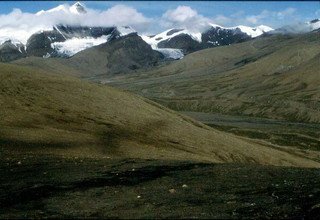 Dominating the tourism industry for 10 years, Swiss Family Treks and Expedition is a well reputed and renowned organization. We are best known for our quality service. We ensure to fulfill our clients' every expectation without disappointing them. Valuing our client’s time and money, we believe in making their trip to Nepal an unforgettable one. Experiencing with Thakali culture in Kaligandaki valley. scenic flight out of Jomsom. Pick up at Tribhuvan International Airport upon your arrival, and transfer you to the hotel in Kathmandu. Overnight at 3-star hotel. We fly to Pokhara catching our early morning scenic flight from Kathmandu. After a 45-minute flight to Pokhara, we drive to Darbang via Beni on jeep relishing the view of lush hills and snow-capped mountains. 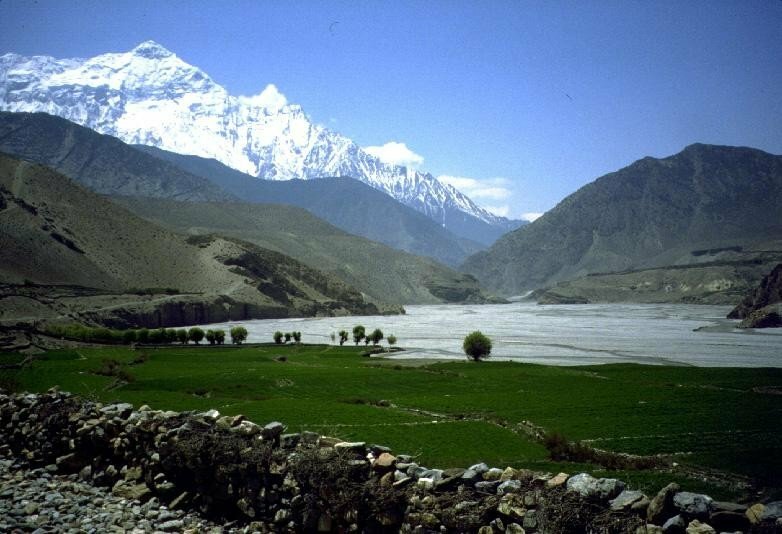 Following the flow of Kali Gandaki River, we pass the town of Beni and then follow Myagdi Khola to arrive in Darbang. Overnight at tented camp. 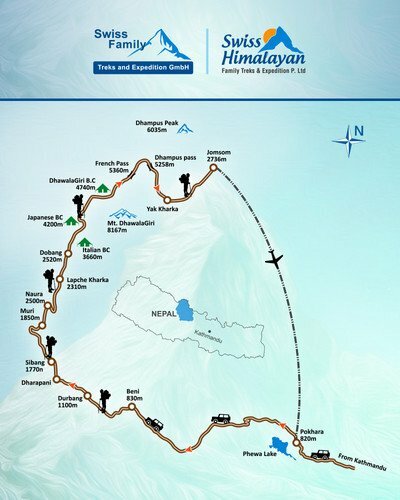 Today, we head towards Sibang ascending to the ridge-top village of Dharapani from where we can get a beautiful view of the Dhaulagiri massif, Gurja Himal (7193m), and Putha Hiunchuli (7246m). We continue our trek walking along the ridge on the path above the river to reach Sibang. Overnight at tented camp. Leaving behind Sibang, we descend to Gatti Khola then climb up to the village of Muri where Myagdi and Dhara rivers meet. We continue to trek crossing the bridge over Dhola Khola and descend through the terraced farm fields and sparse settlements before arriving in Naura village. Overnight at tented camp. Moving alongside the bank of Myagdi Khola through a grassy hill and a steep slope, we arrive in Bagar. We then follow the up and down trail to Dobhan. We continue to descend through a forest to Jyardan before climbing uphill to Lipshe. The route then enters the forested area before ascending up to Dobhan. Overnight at tented camp. Leaving the last village of Dobhan, we trek towards Italian Base Camp. Today we pass through the forested trail filled with oaks, bamboo, and pines trees. As we move further and gain altitude, mountains start to surround us from all around. 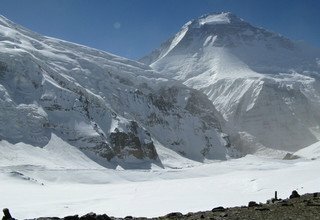 We can get the best view of Tukuche Peak (6920m), Dhaulagiri Range, and other mountains from Italian Base Camp. Overnight at tented camp. We take this day for acclimatization. 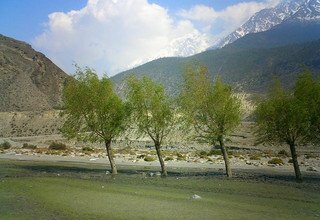 We can explore the base camp area or spend the day relishing the spectacular view of surrounding mountains. Overnight at tented camp. Leaving behind Italian Base Camp, we trek through the rocky area on a steep slope before crossing the glacial moraines. We then reach a wide grassy area in a shallow ablation valley known as “Japanese Base Camp”. 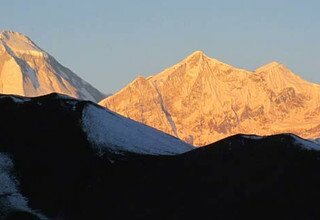 We have rewarded with the west face of Dhaulagiri I (8167m) on one side and Tsaurabong Peak (6395m) on the other. Overnight at tented camp. Today is the most challenging day out of our journey. Walking on the glacier, sometimes on the lateral moraine and undulating surface of the glacier itself, we carefully and responsibly make our way up to Dhaulagiri Base Camp. Upon reaching, we can see the stunning view of all the peaks of Dhaulagiri range along with an amazing icefall descending from the Dhaulagiri and Tukuche Peak ridgeline. Overnight at tented camp. Keeping our health in mind, we take another day off from trekking to acclimatize. 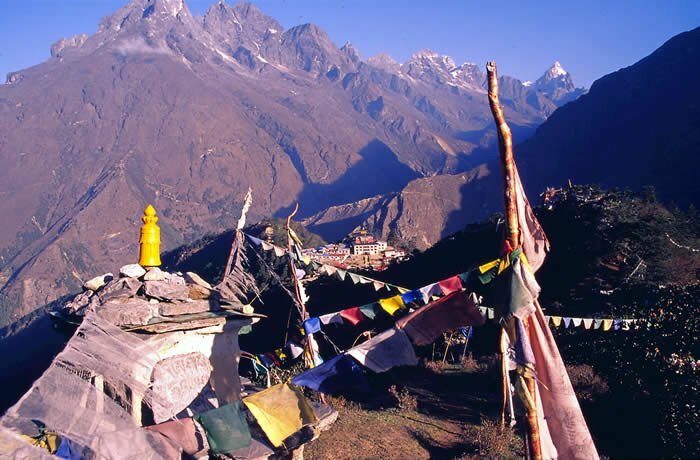 We can spend the day exploring the areas nearby the base camp. There's also an option of hiking up a little for the better view of the mountains. Overnight at tented camp. 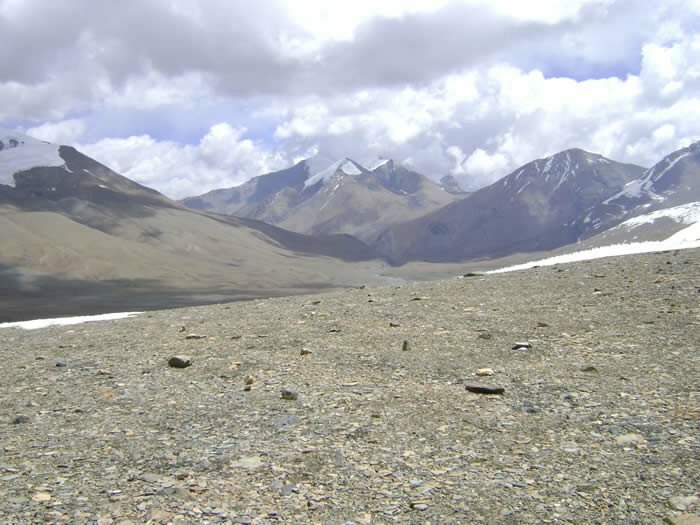 We continue to trek on the north side of Chhondarban Glacier, and gradually climb the steep hillside above the glacier. Following the zig-zag trail across moraines, we make our way up to French Pass which gives a 360-degree view of surrounding mountain ranges. We then gently descend through snow slopes to finally reach the Hidden Valley. Overnight at tented camp. We keep the extra day in case the weather condition becomes bad. We can also use this day to explore the outskirts of Hidden Valley. Overnight at tented camp. 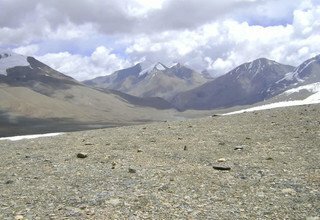 We head towards Yak Kharka crossing over Dhampus Pass (5244m). 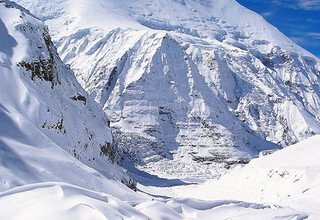 Relishing the beautiful view of Annapurna and Dhaulagiri ranges in the background, we descend steeply to Yak Kharka through avalanche prone slopes. Overnight at tented camp. 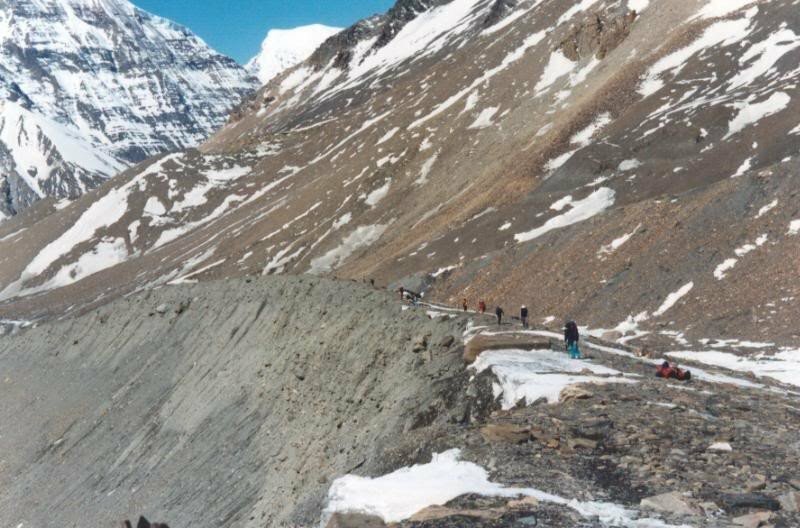 We continue to descend steeply from Yak Kharka towards Marpha which is also known as the apple capital of Nepal. 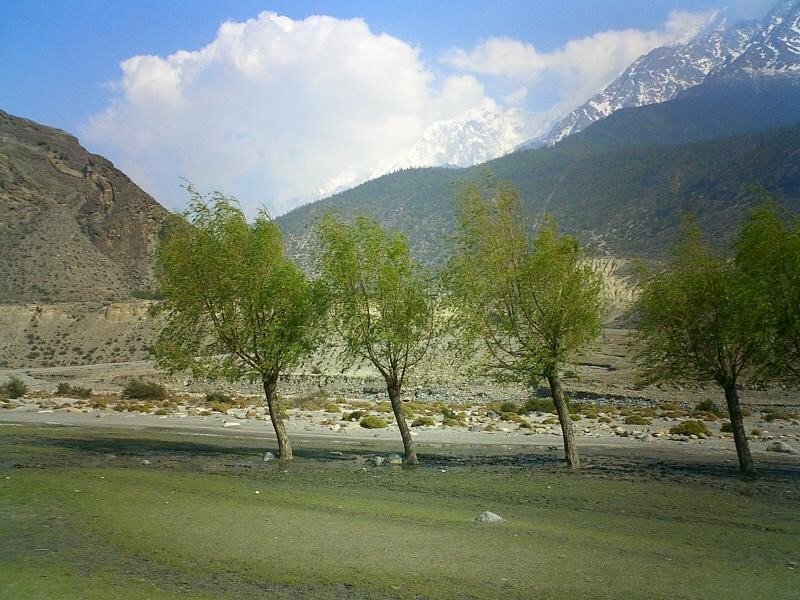 Passing through the whitewashed houses, paved streets, and following the flow of Kali Gandaki River, we move towards the windy town of Jomsom. Overnight at lodge in Jomsom. 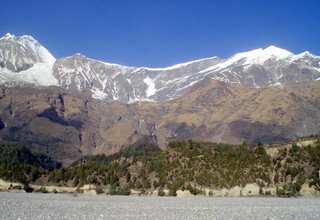 Day 15: Fly from Jomsom to Pokhara and transfer to hotel. We fly back to Pokhara, early in the morning, enjoying an aerial view of the mountains. Later in the afternoon, we explore the beautiful Pokhara city boating in the Phewa Lake and visiting the famous places of Pokhara. Overnight at 3-star hotel in Pokhara. We catch our early morning scenic flight back to the capital. After landing, we transfer you to the hotel in Kathmandu and give the rest of the day to yourself. You can either rest or shop for friends and family. Overnight at 3-star hotel in Kathmandu. Our team representative drops you at Tribhuvan International Airport for final departure hoping to see you again. * 3 nights accommodation with breakfast at 3*** hotel in Kathmandu and Pokhara. 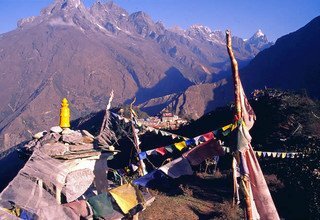 * 1 experienced, helpful and friendly guide, 1 cook and 1 helper, porters(1 porter for 2 peoples), their food & accommodation, salary, equipments and insurance. * Flights to and from Pokhara and airport tax. 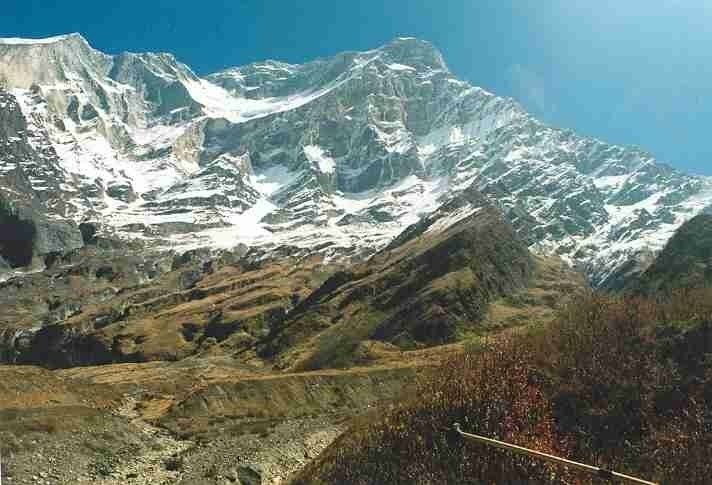 * Annapurna Conservation permit, and all necessary permits. * Any meals (Lunch and Dinner) Kathmandu and Pokhara other than breakfast.